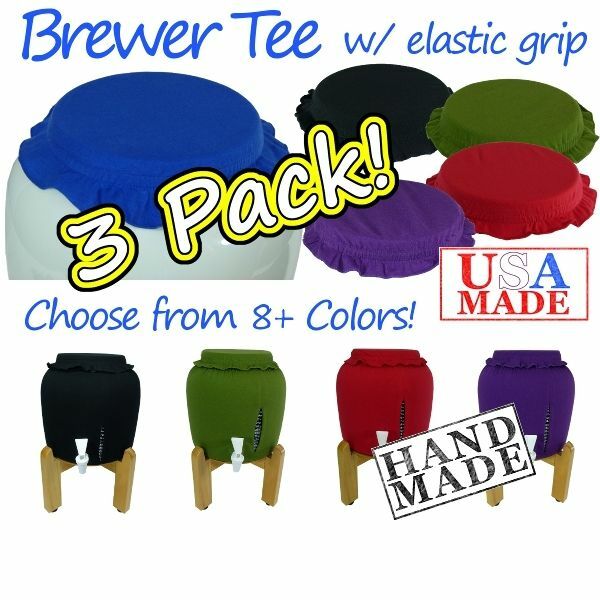 Now your favorite Kombucha Kamp Brewer Tee comes in a handy 3 pack. Mix and match the colors to identify your different brewers or coordinate your brewing vessels with your kitchen decor! Specially designed to fit snugly around our 2.5 gallon Modern Porcelain Continuous Brewers, this stretchy tee not only holds your heat strip in place but also keeps it discreetly out of sight. 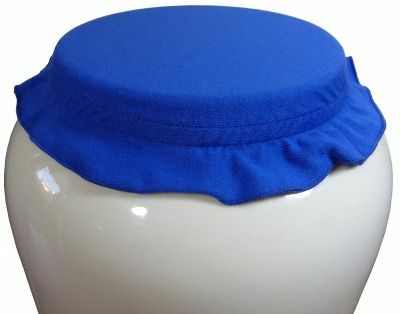 Plus the cap has a designer frill for a cute touch. Tuck in or out based on your preference. I LOVE this product. 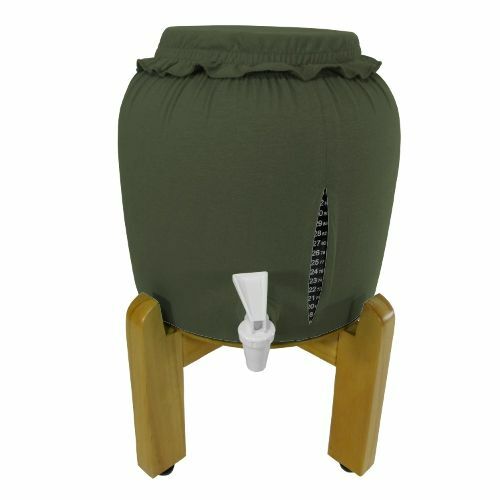 It keeps all the dust and bugs out of the brew and also keeps the temp in the crock at a more constant temp. This t-shirt material set (top and bottom) makes your Kombucha crock look neat and attractive, rather than some weird science experiment. Of course with the batch brews, you do get more questions from guests when they visit, wondering what is that strange looking stuff in the jars, but I think I prefer it this way instead. I am quite happy with this purchase!